In 1968, Mexico City was preparing to host the Olympics. It was the first time that a Latin American country would host the Games, and the government was hoping to show off the new, modern, Mexico. At the same time, student protests were regularly sweeping through the streets of Mexico City. And just 10 days before the Olympics were to begin, on October 2, the Mexican army fired on a peaceful student demonstration in the Tlatelolco neighborhood. The official announcement was that four students were dead, but eyewitnesses said they saw hundred of dead bodies being trucked away. The Tlatelolco Massacre is one of the darkest episodes in Mexican history. Over the years…the death toll isn’t the only thing the government has covered up. Our Audio History of the Tlatelolco Massacre was produced by Anayansi Diaz-Cortes, along with the Radio Diaries team. Click here for a photo slideshow of the Mexican student movement and the Tlatelolco Massacre of 1968. Below, watch archival footage recorded by the Mexican government on the day of the Tlatelolco massacre. Released more than twenty years afterwards, this footage reveals a secret about how the massacre began. A special army unit, disguised as civilians and positioned in an apartment building above the protests, fired shots down at the troops on the street, causing the troops to attack the student protesters. The National Security Archive has a trove of declassified documents online about the Tlatelolco Massacre. 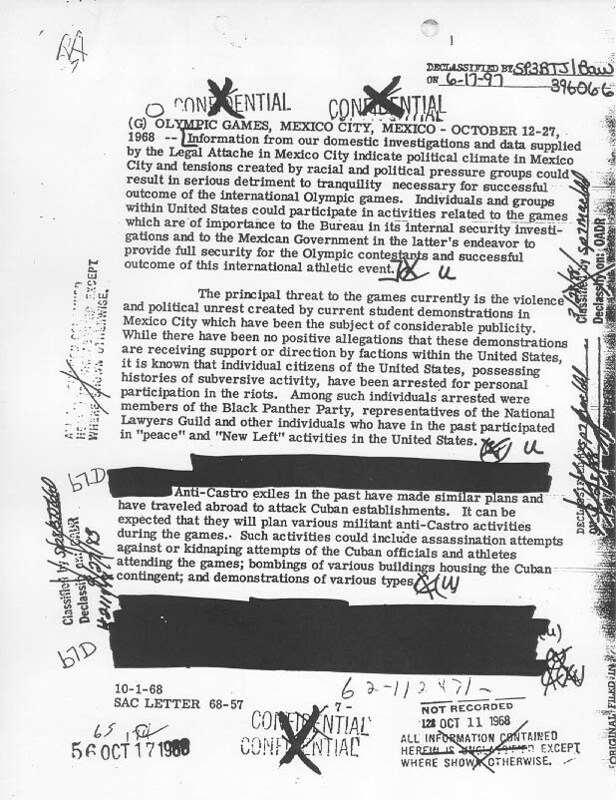 This FBI letter discusses potential threats to the Olympic games in Mexico City, such as individual U.S. citizens with histories of subversive activity and anti-Castro Cubans, who are expected to try and harass Cuban athletes during the games. The FBI urges that information about potential subversives be provided to the U.S. and Mexican Governments. 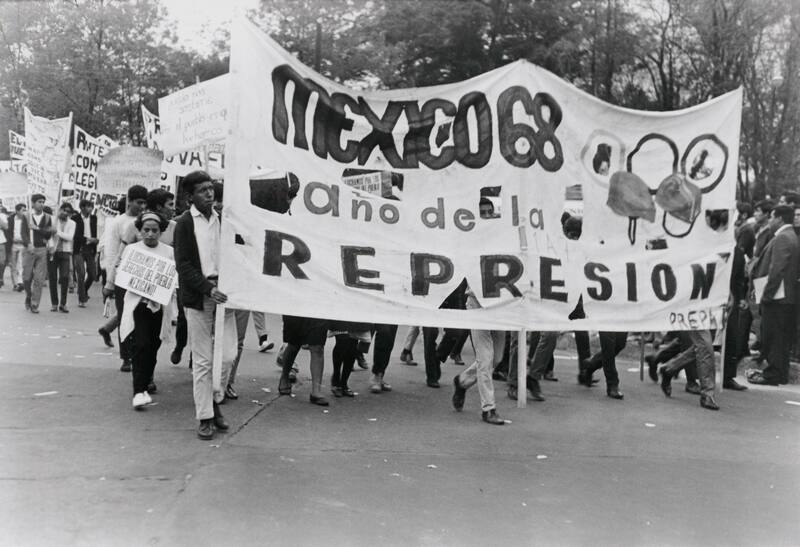 If you want to know more about Mexico in 1968, head over to the Radiotopia podcast 99 Percent Invisible. They have a story up about the design of the Mexico ’68 Olympics, and how it was coopted by Student Protesters.